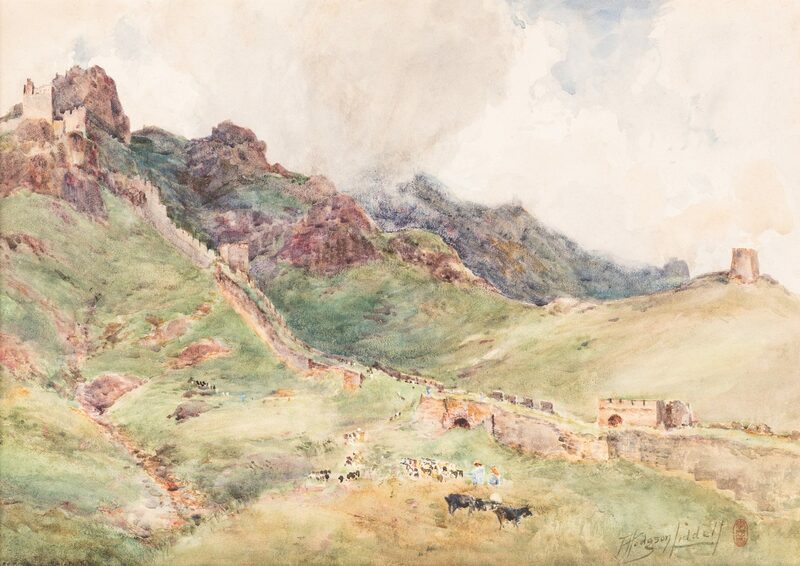 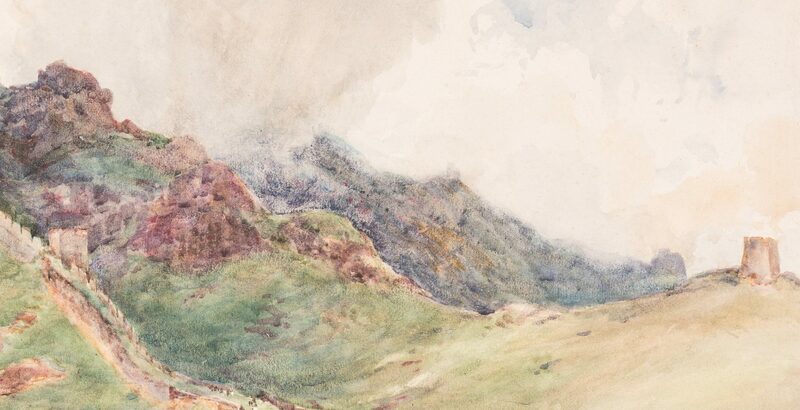 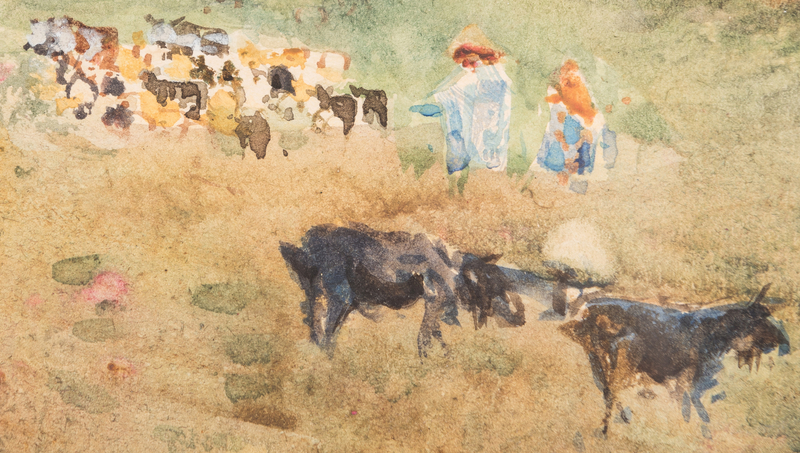 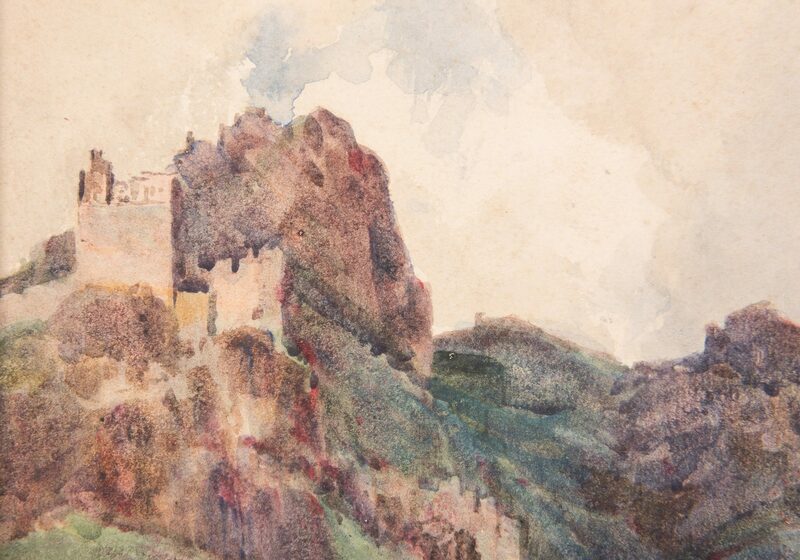 Thomas Hodgson Liddell (United Kingdom, 1860 – 1925) landscape watercolor on paper painting depicting a section of the Great Wall of China with figures herding cattle in the foregrond and mountains in the background. 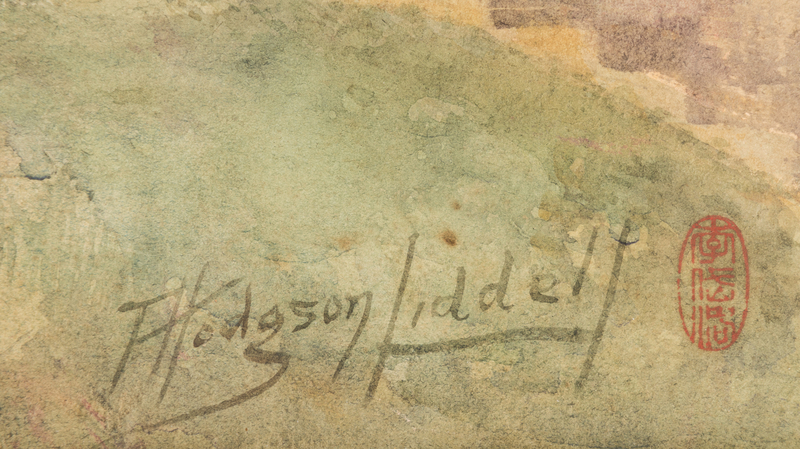 Signed lower right "T. Hodgson Liddell" together with a red seal. 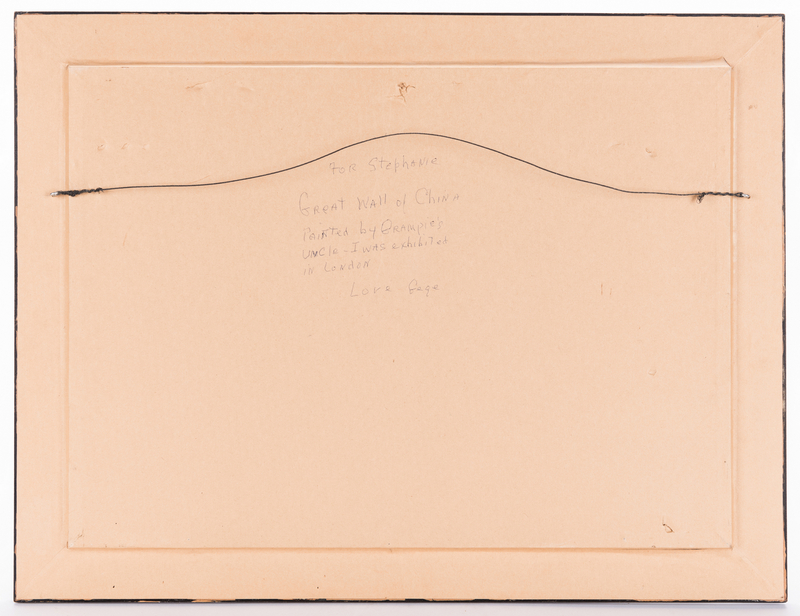 Housed in an ebonized wood frame with gilt wood liner. 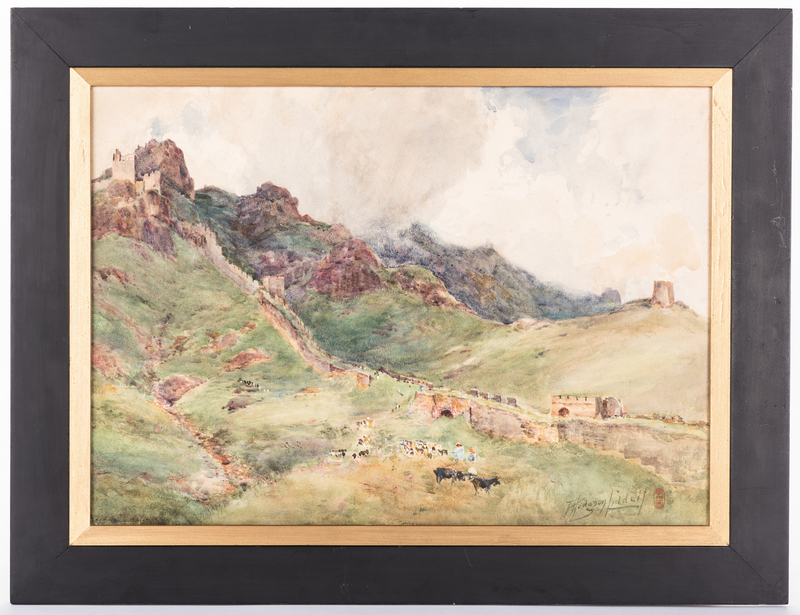 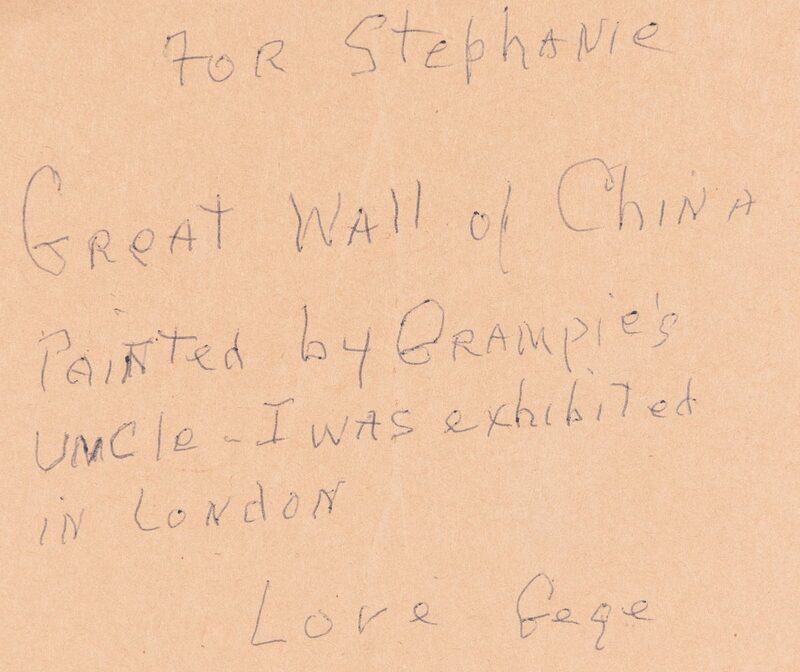 Sight – 14 3/4" H x 21" W. Framed – 20" H x 26 1/4" W. Provenance: Descended through the family of John Liddell, a member of Liddell family firm that owned shipping warehouses and land in China until 1949. 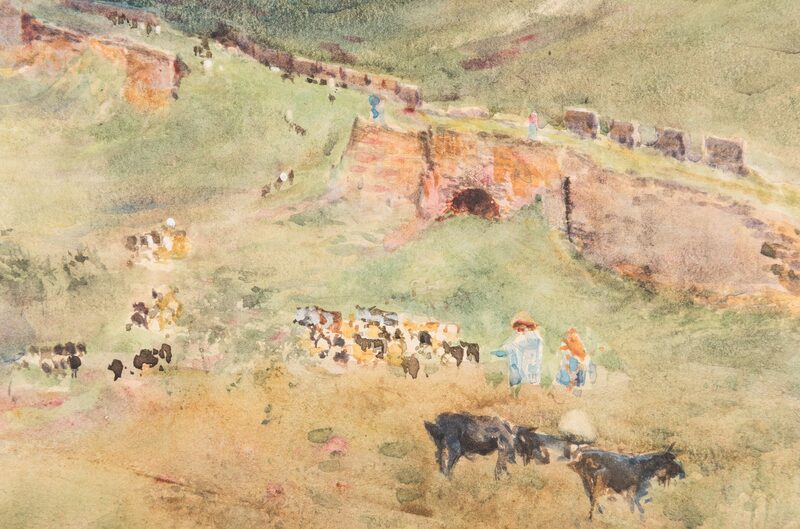 The artist of this painting was the brother of John Liddell. CONDITION: Very good condition with minor foxing spots in upper right corner.